Be sure to keep handy game side! The perfect container for holding any thirst quencher! 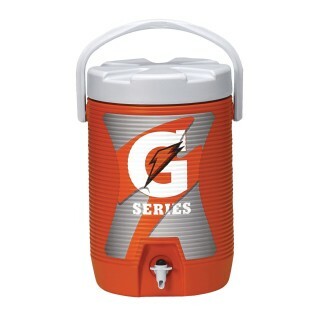 We used this for our summer camp to give students Gatorade because it was rather warm in Arizona! !